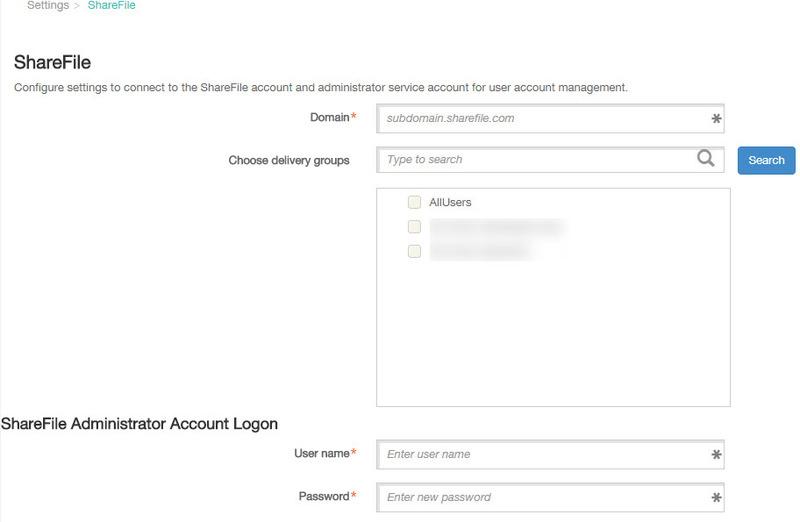 During a recent implementation of XenMobile 10 Enterprise (build 10.0.0.62300) I created a ShareFile Administrator Account within the ShareFile control plane to be used for the XenMobile integration.While I was still doing some testing and configuring a simple, non complex password was used for the ShareFile Administrator account. Soon as everything was working correctly I logged in to the ShareFile Control Plane and updated the password used for the ShareFile Administrator account for a complex one. Well so far so good. Next step in the process would naturally be to update the ShareFile Administrator account within the XenMobile Server (XMS) settings. I logged in to the XenMobile 10 console and went to Configure > Settings > More > ShareFile and finally clicked Sharefile. Almost immediately I was confronted with an Error message “Username or Password was incorrect”. Ok, this was to be suspected I did change the ShareFile Administrator password within the ShareFile control plane. After I clicked “Ok” an empty configuration box appeared. I know the domain already exist I only want to update the ShareFile Administrator password which is being used. The domain box is however mandatory and my current configuration is not displayed so the only option left is to enter Domain, User name & Password. This feels like a deadlock situation where I’m not able to update the configuration through the web console. This felt like a bug in XenMobile 10.0.0.62300 so I opened a support ticket with Citrix. After a short investigation of the XenMobile Engineer this was indeed classified as a Bug. The XenMobile escalation engineer reported it with development team, who are currently working on a hotfix for the issue. Be aware it’s not a official Citrix Recommendation to use this workaround! It should be used with great precaution. Make sure to make a full backup of your XenMobile SQL Database before proceeding! 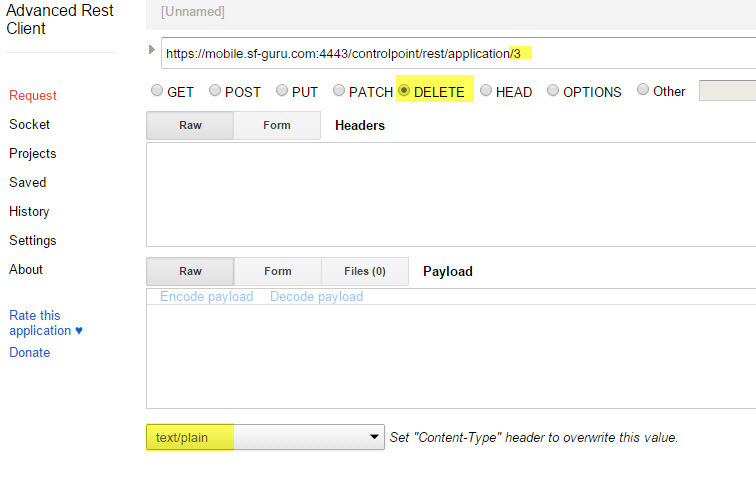 Then open the XenMobile Console (https://xms.yourdomain.example:4443) and make sure you’re logged in as administrator. Before you hit the “Send” button make sure you are logged in to the XMS Console so the browser has the session cookie available. 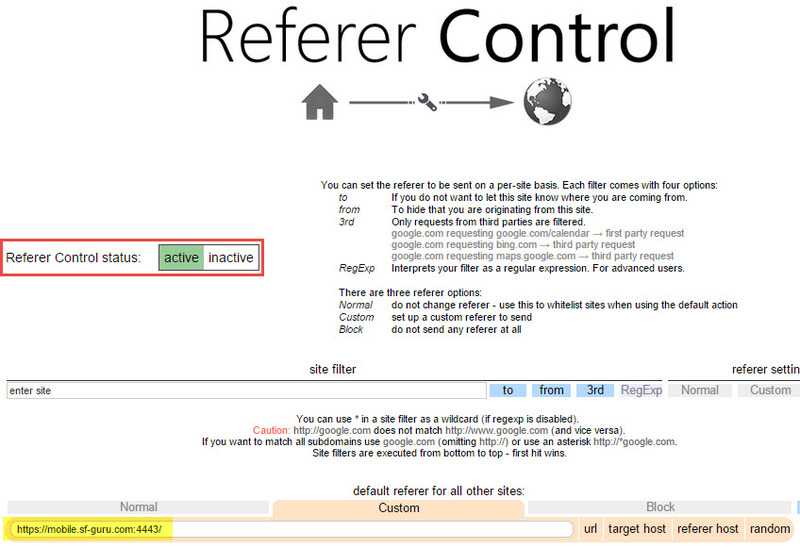 The referer header will be taken from the Referer control. And voila, the workaround deletes the existing ShareFile configuration from the XenMobile Server (XMS). Only thing left is to reconfigure the ShareFile configuration into the XenMobile Server. Until the XenMobile team releases a hotfix for this specific bug, I consider this workaround as a good alternative, as long it’s used with great precaution! Many thanks to the XenMobile support team members, who worked with me on this issue.